The release of Spectre may be just over a month away, but that hasn’t stopped Sony Pictures from already getting us hyped about the film coming after this one. 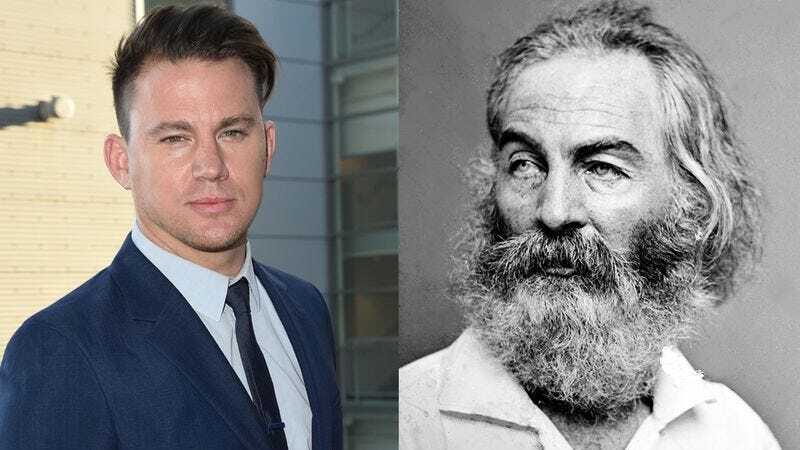 According to a statement released this morning, the role of Walt Whitman is going to none other than Channing Tatum, and the 19th-century American poet could not be in better hands. It’s no secret that Tatum has been coming into his own lately, and playing the famed father of free verse is the perfect way to prove that he can still carry a big-budget franchise. According to his agent, Tatum has been getting into character by watching every Bond movie and reading Leaves Of Grass. Plus, he’s been working with a dialect coach to nail down his accent, as well as transforming himself physically, gaining 65 pounds and growing out Whitman’s trademark shaggy beard. Fans aren’t the only ones excited about Channing’s new role. Future co-star Daniel Craig seemed equally thrilled with the announcement. Well, you heard it here first! The newest Bond movie drops worldwide on November 6, but we can’t wait for Bond 25! Check back soon for photos of Tatum on set in England looking almost unrecognizable as the late literary pioneer!